LONGMONT, Colo. (AP) – A powerful late-autumn storm dumped up to 24 inches of snow in the Colorado mountains on Tuesday before barreling onto the plains, prompting airlines to cancel 425 flights at the Denver airport and leaving hundreds of miles of highways slippery with snow and ice. The snow tapered off Tuesday afternoon as the storm moved northeast, leaving behind drifts up to four feet high. It was the first big storm of the season for most of Colorado and Utah. 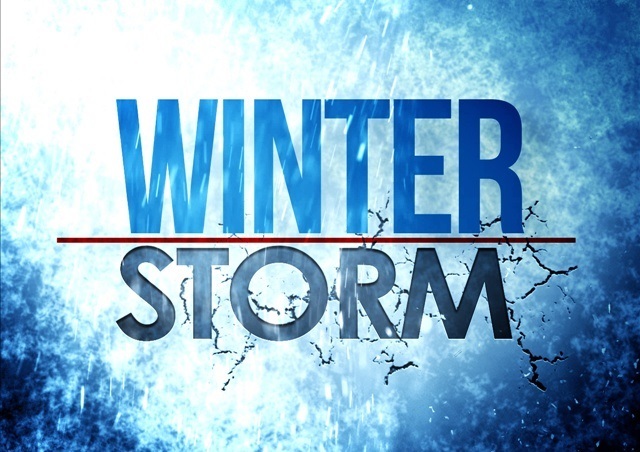 Schools closed in some towns in at least four states. Some flights at Denver International Airport were more than four hours late after at least seven inches of snow fell there, airport officials said. More than 600 miles of Colorado Interstate highways were snowpacked or icy, and gusts as strong as 58 mph left near-whiteout conditions in isolated areas of Colorado’s eastern plains, Dankers said. Few highways were closed, however. A snowplow slipped off a highway in the foothills west of Boulder early Tuesday and landed up-side-down in a creek, but the driver wasn’t injured. The accident happened at about 4:30 a.m. in Boulder Canyon, said Amy Ford, a spokeswoman for the state Department of Transportation. Nothing spilled from the truck into the creek, she said. The cause of the accident was under investigation. The wind piled up drifts three to four feet deep in the small northeastern Colorado town of Merino. Schools and the town offices were closed but some businesses opened as usual. About 24 inches of snow fell in the west-central mountains near McClure Pass, the National Weather Service said. The town of Larkspur, in the foothills north of Colorado Springs, reported 17 inches of snow, and cities along the north-south Interstate 25 corridor reported up to a foot. Farther east, the Colorado plains received four to eight inches of snow. The storm struck Utah before moving into Colorado, leaving about a foot of snow in the Salt Lake City area and more than two feet in other places. The Utah Highway Patrol worked more than 400 accidents over the last two days as people struggled to get to work and school on icy, snow-packed roads. The storm left a foot of snow in parts of Wyoming and Montana, leaving icy highways. School kids in Billings, Montana, the state’s largest city, got their first snow day in more than 25 years. Parts of Interstates 25 and 80 were closed in Wyoming, but travel was a lot more fun in Yellowstone National Park, where recent snow allowed the park to start welcoming snowmobile and tank-like snowcoach traffic. Elsewhere, rain and snow pushed into New England after an unseasonably warm and dry weekend. Sherman, Maine, reported six inches of snow at midday Tuesday. Much of the West Coast was dry with below-average temperatures. The Tuesday morning low was -13 degrees in Bridgeport, California, and 6 degrees in Big Bear City, California.